Hi everyone! Spring is in full swing, but in Tallinn it's still cool. Today's outfit is very cozy and comfy. I'm in love with this oversize denim jacket, it's so stylish, warm, I feel like never taking it off. I like how this jacket perfectly pairs with my blue Timberlands, very young and fashionable. Finishing the outfit with beautiful small jewelry from OCEANFASHION. These little shoes shaped earrings are so clever and cute. Golden rings with many rings in one design are very trendy and look awesome. I say, the more rings, the better. That kind of jewelry is also very versatile, you can basically add them to any style outfit. This outfit great for the cold day of beginning of spring, to make you feel comfy cozy. Всем привет! Весна в самом разгаре, но в Таллине по прежнему прохладно. Сегодняшний аутфит это уют и комфорт. Я влюблена в свою oversize denim куртку, она такая клевая и тёплая, вылезать из нее не хочется совсем. 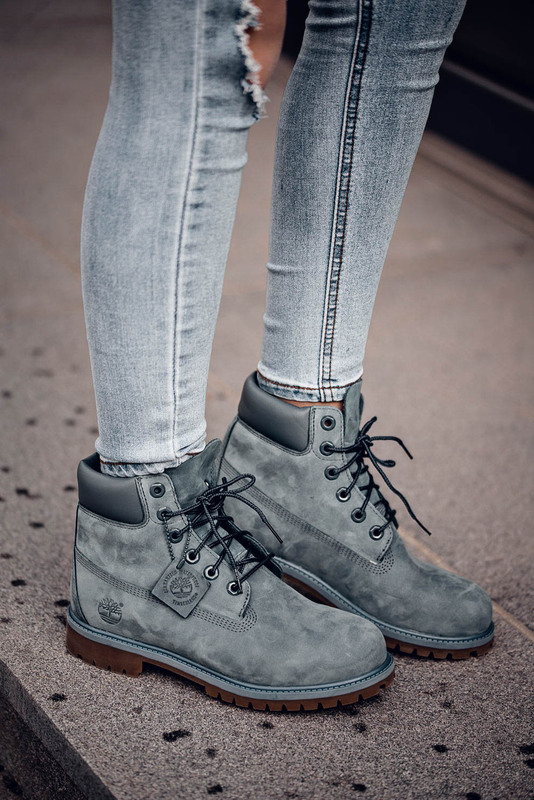 Мне нравится, как это куртка сочетается с моими нежно голубыми Timberland, выглядит стильно. Весь образ разбавляют яркие и броские, миниатюрные украшения от OCEANFASHION. Эти маленькие туфельки в ушах, явно бросаются в глаза, а кольца в цвете rose gold привносят изюминку в мой весенний лук.